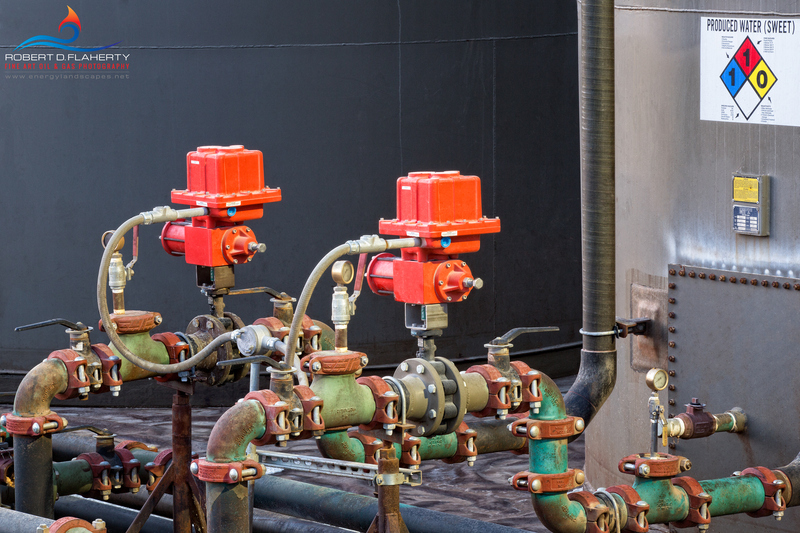 Midstream Oil & Gas Assets Gallery contains oil & gas gathering and refining assets from basins throughout the United States. 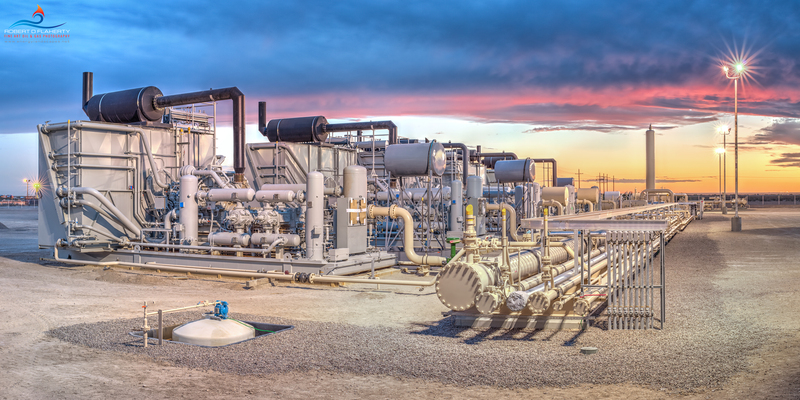 The images are primarily produced as large format fine art for the midstream oil & gas industry. Prints are available up to 96 inches wide with fine art murals available up to 60 feet wide. 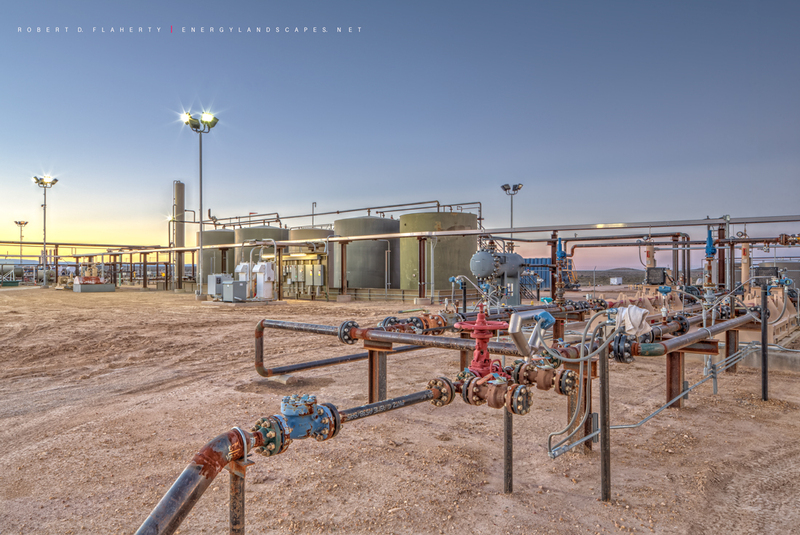 Most of my midstream oil & gas photography is up to 20 times the resolution of traditional commercial photography. A fine art mural differers from a normal mural in that the image is intended to be viewed from only a few feet away. Pixel counts well into the billions mean that even the finest details are evident in the mural in the same way that a piece of fine art is expected to be of the highest quality. The world's finest lenses have been used to achieve a level of focus and sharpness that can only be appreciated in a large print. 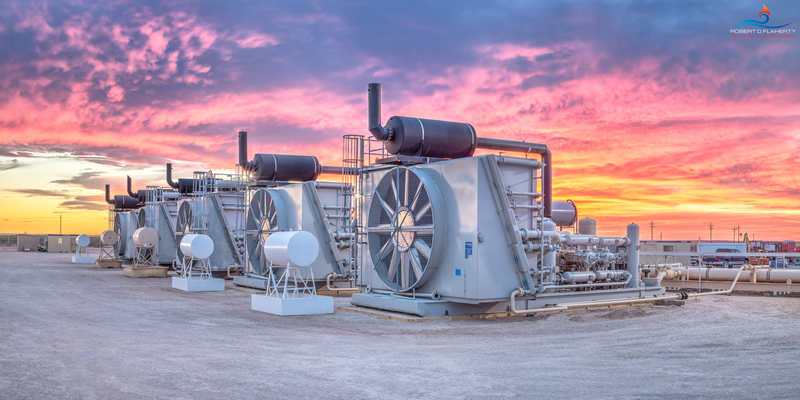 Delaware Compressor Sunset II features a newly completed compressor battery in the central Delaware Basin of Western Texas. The image is a 2:1 high resolution panorama compossited from 63 images. Resolution is suitable for a 30x60 foot fine art mural. Prints on fine art paper or canvas are available as large as 40x80 inches. This amount of resolution would allow the date on a dime to be read anywhere on the compressor battery. 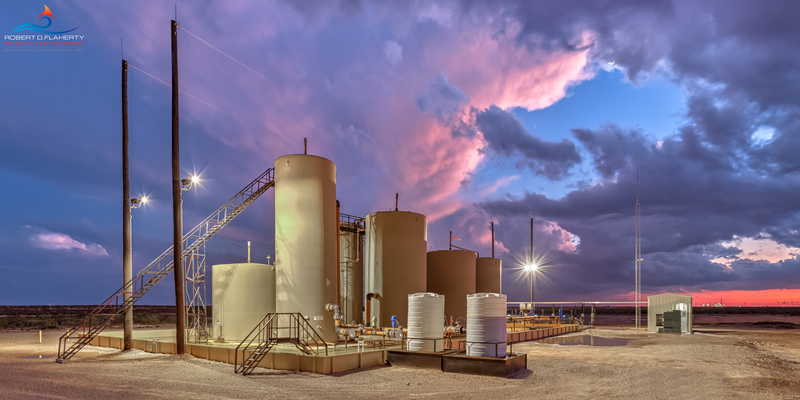 Delaware Compressor Sunset I features a newly completed compressor battery in the central Delaware Basin of Western Texas. 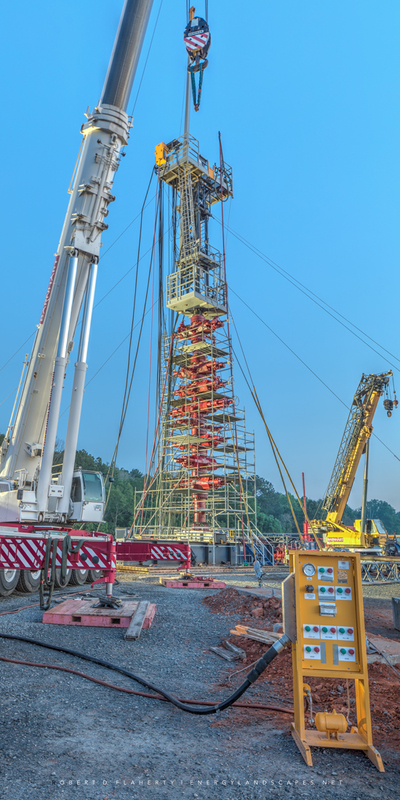 The image is a 2:1 high resolution panorama compossited from 63 images. Resolution is suitable for a 30x60 foot fine art mural. Prints on fine art paper or canvas are available as large as 40x80 inches. This amount of resolution would allow the date on a dime to be read anywhere on the compressor battery. 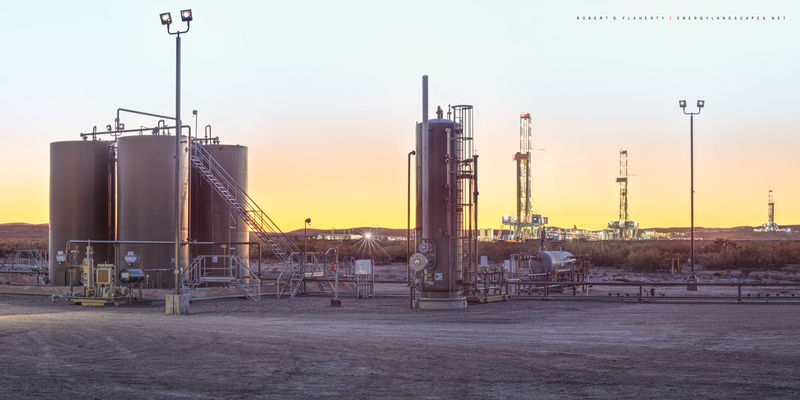 Last Light Of Day features natural gas gathering assets at twilight on a cold clear evening in the mountains of far Western Texas. 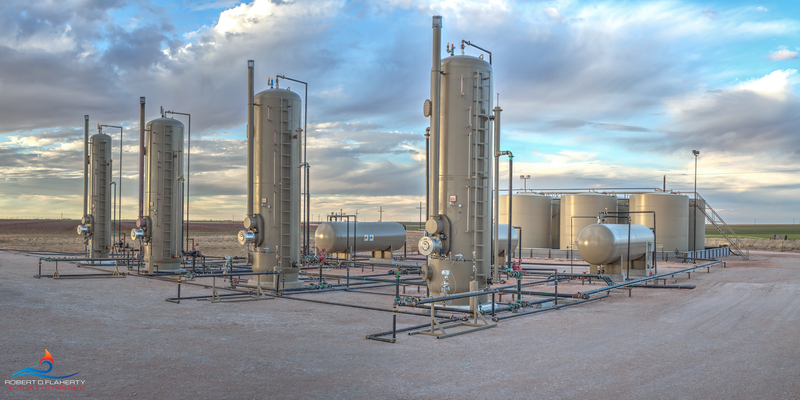 Culberson County Texas continues to provide some of the best horizontal gas plays as evidenced by continued drilling and the build out of midstream facilities such as this one. The image is a high resolution fifty megapixel photograph. A perspective control lens normally used for architectural subjects allows all points near to far to be in perfect focus. 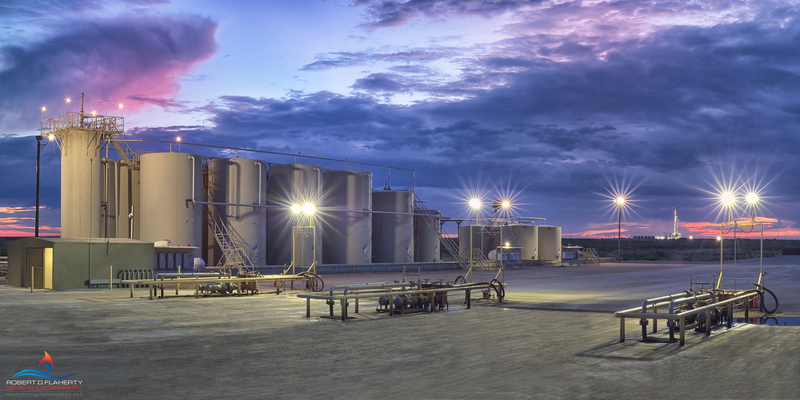 Fine Art Oil & Gas Photography By Robert D. Flaherty. Photo © copyright by Robert D. Flaherty.